Whether you're looking for undergraduate, graduate, online or pre-professional programs, find a range of diverse educational opportunities at Cape Breton University. Choose from fascinating courses in liberal arts, business, science and technology, education, or health and wellness. Here, you can study everything from ethnomusicology to economics; engineering to English — and much more. At CBU, you'll have ample opportunity to get to know your profs, who will challenge you to problem-solve creatively, think critically, and communicate effectively. You will see the world in a different way and learn from top experts and scholars. At CBU, you’re always a name; never a number. In fact, Cape Breton University students rate the quality of student-faculty interactions tops in Canada, according to the National Survey of Student Engagement (NSSE). CBU has the lowest tuition and fees of any university in the province. 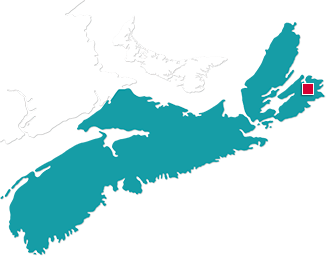 Nova Scotia-based students make up about 60% of CBU's enrolment and International students make up about 30%. CBU is also considered Atlantic Canada's leader in Aboriginal post-secondary education, with the highest percentage of Aboriginal student enrolment of any institution in the region. We balance our exceptional academic programs with work/study co-op programs in many disciplines, excellent academic and international support services, more than 70 student societies and exceptional undergraduate research opportunities.